I heard fantastic news on the radio this morning. Israel’s Interior Minister just granted Israeli citizenship to Sandra Samuel, the Indian nanny/heroine who saved the life of 2-year-old Moishy Holtzberg. Israeli citizenship will enable Sandra to fulfill her dream of remaining in Israel to care for Moishy until he reaches adulthood. 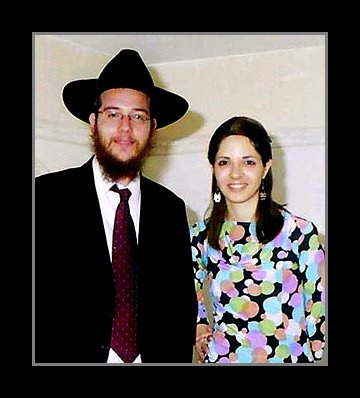 In November 2008, when terrorists entered the upper floor of Mumbai’s Chabad House, Sandra, a 46 year-old widow and mother of 2, hid on the Chabad House’s lower floor. When the sound of gunfire ceased, Sandra heard little Moishy calling her name. Instead of fleeing to safety, Sandra endangered her own life in order go upstairs to search for Moishy, whom she found covered in blood between his murdered parents. While the terrorists were on the roof, Sandra ran to safety with Moishy wrapped in a blanket in her arms. Such simplicity, such humility, such goodness. Sandra, I’m proud to be a citizen of the same country as YOU!